DERBYSHIRE’S Terry Kirby is about to make history as the first wheelchair golfer to become a club captain, certainly in England – and probably worldwide. 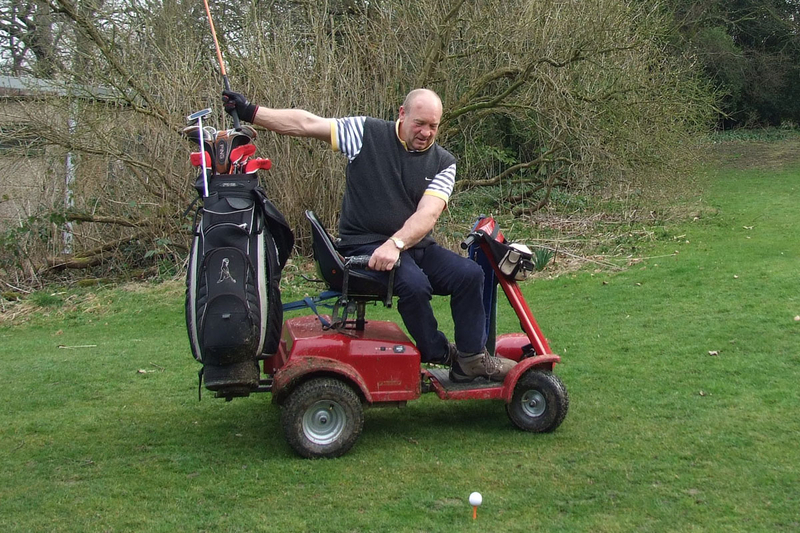 Terry will take office at Chesterfield’s Tapton Park Golf Club, in February – almost 25 years after a tumour in his spinal cord cost him the use of his legs. The 63-year-old said: “Then, I was thinking that’s it, I’ll never play golf again and it was a total change in my life. But 25 years later I’m captain of a golf club. “I have never been treated any different from anyone else within the club. “When I first started some people thought they had to give concessions, but I soon put a stop to that! But his story is both inspirational and highlights the work of the Handigolf Foundation for wheelchair golfers, which he chairs. The Handigolf charity, which is supported by England Golf, not only organises competitions – but hires buggies to wheelchair users who want to get back on the fairway, or take up golf. Terry came across Handigolf when his physiotherapist spotted a flyer for a taster day. He went along and four weeks later was playing in his first disability competition. He returned the next year and won it! Terry enjoys all aspects of the game, but particularly the competition. He’s held a handful of national disability titles and has been a European title runner-up. Terry added: “There are other wheelchair sports. But I always say golf is a sport for life, once you are into it, that’s it. England Golf disability manager Jamie Blair said: “It has been great to work with Terry over the past five years and see his passion for the game. “His captaincy will raise awareness of disability golf and the opportunities for people who previously played, but might have stopped due to injury or illness.